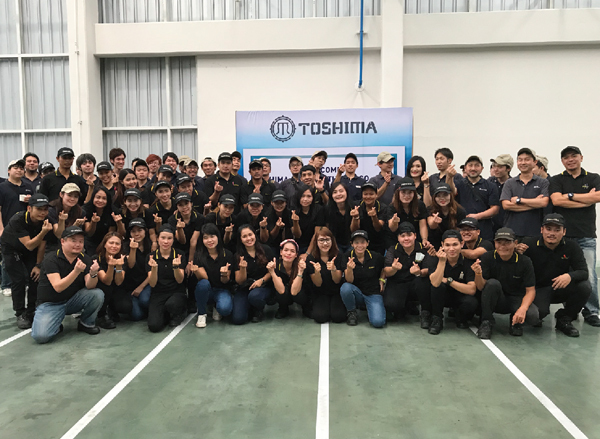 Company trip in Thailand (TOSHIMA JAPAN) | Toshima Manufacturing Co., Ltd. I haven’t updated this blog so long…. And it’s already December! Why time goes so quickly?! 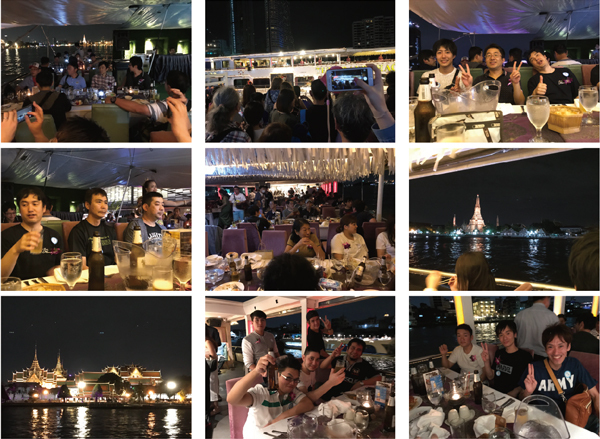 Anyway, we made our dream come true this year, which is company trip in Thailand! We were thinking to carry out this plan several years ago but things didn’t work out because of unsuitable situation in Thailand and high season in Japan so that we were not able to book air and hotel. 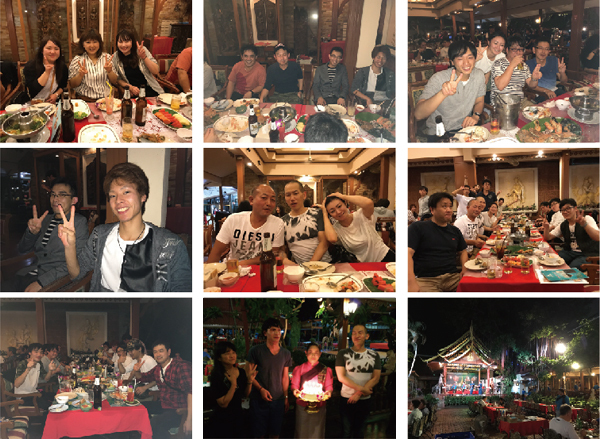 However, finally we did make it to travel Toshima Thailand with our staffs in Toshima Japan! It was Nov.10 fri departure and 13 mon arrival so it was very busy schedule. But all attended 94 members came back to Japan safely! In first day, we spend most of our time to move from Japan to Thailand. Because we were big groups, half of people departed from Haneda air port and the other one was from Narita air port. On the way, high way was in traffic jam but we were on time to departure with assist from staffs of H.I.S. travel company. When we arrived in Pattaya, Thailand, we had dinner in a Thai food restaurant named Ruan Thai. During our trip, there were a few people who had their birthday so our tour guide from H.I.S. gave them a birthday present. 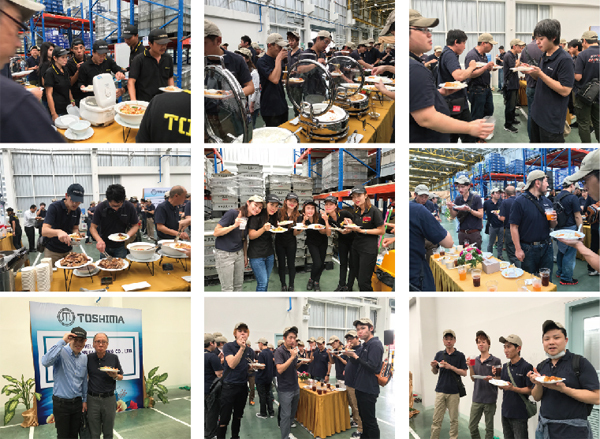 In second day, we visited to our branch factory, Toshima Thailand and Mie Seiki Co., Ltd. After that, we had lunch together in Toshima Thailand. Though we were not easy to communicate because of the difference of our languages, staffs in Toshima Thailand looks having fun to take photos with people from Japan. We had really good time together. style temples from a cruiser, dancing, talking and so on…. that was really impressive experience. In third day was sight seeing day and going back to Japan with night freight. 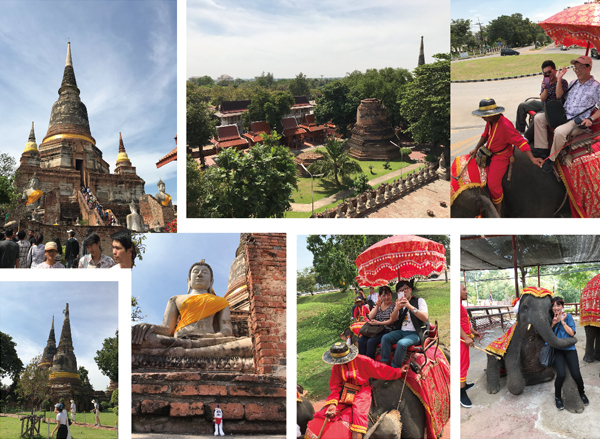 The photos below is Ayutthaya remains. Award from Sanwa Seiki Co., Ltd.